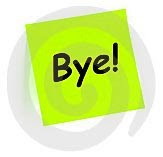 Bye Bye Brand Manager – ¿¡ tjongolongo ?! Or at least that’s what Forrester, a technology and market research company, is saying. According to an article I saw on Advertising Age today Forrester will be sending out a report about this next week. In this report they basically say that it’s time to move away from brand managers and start looking at brand advocates. Interesting stuff, I (obviously) haven’t read the full report but with the overall new focus I agree. Everybody should get back to basics, but Tjongolongo, why, I mean WHY do we have to change the name from Brand Manager to Brand Advocate??!! I’m getting so tired these days with all the different names for, in a way, 1 job. I’m voting to either stick with what you’ve got or for persons to be on business card. The marketing person, the sales person, the brand person, etc. Stop with the executive, coordinator, manager etc. Just let the job evolve with the time and stop messing around with the names! I mean a butcher back in the day probably killed his own cattle for meat but doesn’t do it now. But it’s still a butcher!